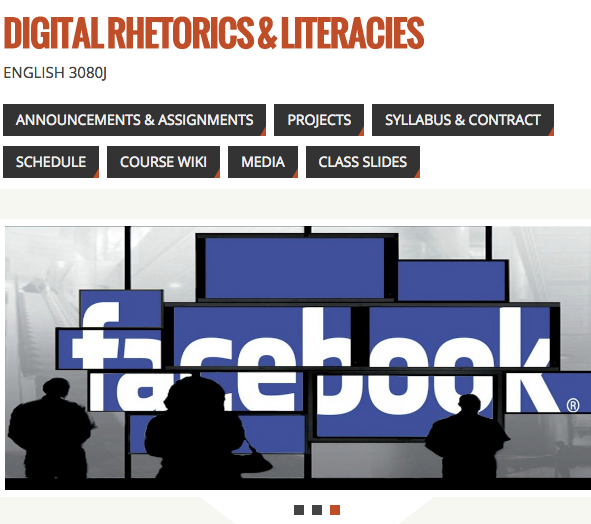 A Course Website I developed for English 3080j: Digital Rhetorics and Literacies during my time at Ohio University. Students in this course examined rhetoric and writing through/in various new media technologies. The course site fosters digital writing and provides students access to schedules, assignments, and announcements.